Mix mayonnaise, mustard, horseradish, lemon juice and 3 Tbsp. of the Parmesan cheese in medium bowl until well blended. Stir in 3/4 cup of the cracker crumbs. 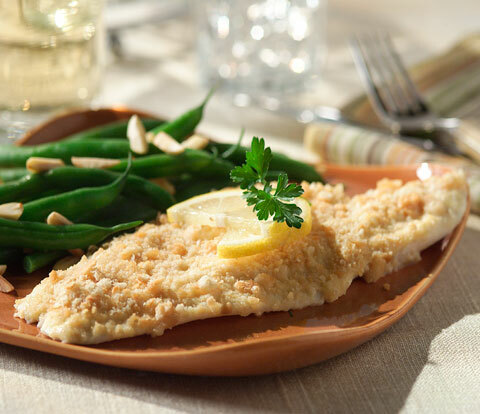 Place fish fillets in greased or parchment-lined full sheet pan; spread evenly with mayonnaise mixture. Mix remaining Parmesan cheese and cracker crumbs; sprinkle over coated fillets. Bake at 350°F for 10 to 15 minutes or until fish flakes easily with fork. Serve immediately. For a more rustic appeal, prepare as directed using Country Dijon Mustard.